I have no doubt that many reviews released today for Sonic Mania, releasing August 15 to the PlayStation 4, Xbox One and Nintendo Switch and releasing August 29 to PC, will chart the ups and downs of the Sonic franchise, make mention of the recent Sonic Boom games, and make the assertion that Sonic has not been good for a long time. I also have no doubt that reviews like my own will smugly mention such reviews in an attempt to show how I’m coming at Sonic Mania from a more educated and informed place. Really, I just wanted an intro paragraph and now that that’s done we can get to what we’re all here for: my review of Sonic Mania! 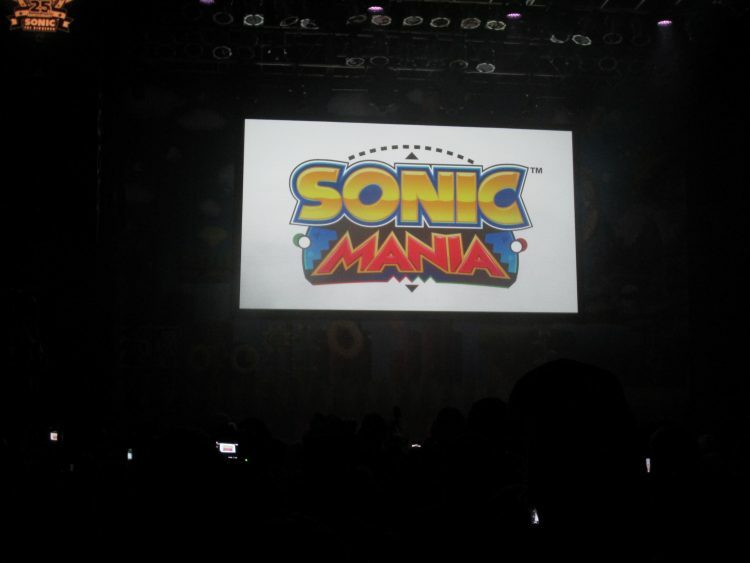 Sonic Mania was first met with incredibly positive first impressions at SEGA’s Sonic the Hedgehog 25th Anniversary event held in San Diego, July 22, 2016. Me and my fellow SEGAbits team member George went hands on with the game and had nothing but positive things to say. I distinctly remember that during my demo session, nothing felt off.Sonic Mania played like any of the classic Genesis Sonic games. This wasn’t a surprise, as Christian Whitehead and Simon Thomley whose previous works included the remasters of Sonic CD, the original Sonic the Hedgehog and Sonic the Hedgehog 2, were behind the upcoming game along with PagodaWest Games of Major Magnet fame. While Sonic had several 2D adventures following Sonic 3 & Knuckles, SEGA and Sonic Team never seemed to want to revisit that special recipe that made the original games great. 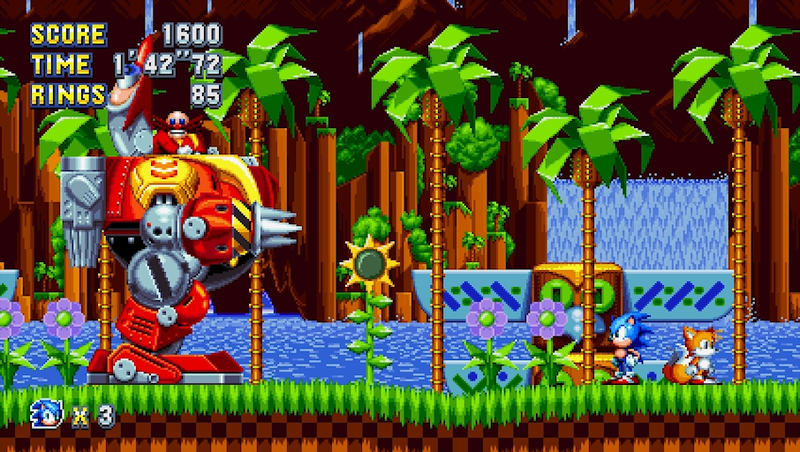 Thanks to the efforts of Whitehead and his team,Sonic Mania does just that and then some, presenting fans with a “what if” scenario of the Sonic game we always wanted on the SEGA Saturn, but never got. 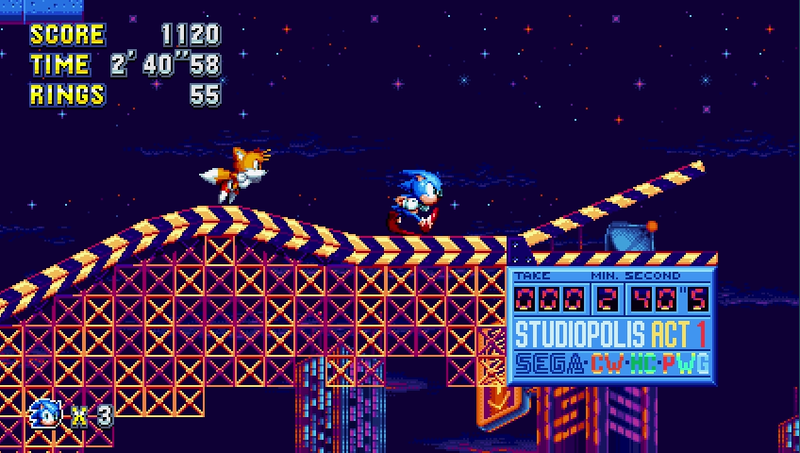 Sonic Mania takes several cues from Sonic 3 & Knuckles, presenting a game with a similar length (Mania is just a tad shorter than 3&K with a dozen zones of two acts each), the same playable characters, the same system of saving, pantomimed cutscenes, seamless Zone transitions, Act 1 sub-bosses and the always expected Act 2 bosses. 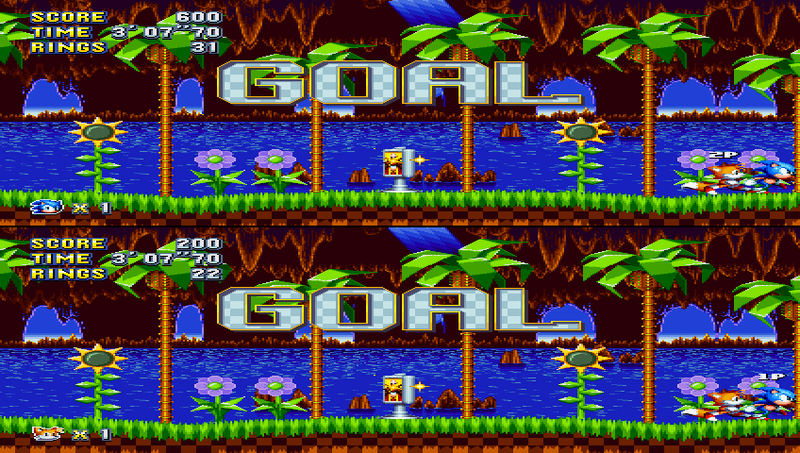 Sonic Mania smartly does away with the series numbering, taking titular and aesthetic cues from the Saturn compilation Sonic Jam and acting as both a sequel (much more of a sequel than Sonic 4 was) and a classic series retrospective. The story is simple. Following the events of Sonic 3 & Knuckles, Sonic and Eggman discover a mysterious energy source and race to Angel Island to find out what it is. Eggman beats Sonic to the energy source and introduces our hero to Eggman’s new squad of Hard Boiled Heavies. Before Sonic can react, Eggman uses the newly found gem to teleport Sonic to Green Hill Zone and the game begins. Players revisit classic zones and experience brand new zones, with a ratio of two returning zones to every new zone. On paper, this sounds like a mixed bag, almost as though the classic zones were included so the development team had less hard work to do. This assumption is completely wrong, as the classic Zones are largely brand new experiences with very little of the original maps remaining. Act 1 typically will play out with the original map as a basis and a much larger map is built out from what players are accustomed to. Act 2’s are largely brand new, with several new gimmicks, surprises and fan service on levels that the franchise has not seen before. Playing though the game, you’ll be reminded why the franchise has endured through the timeless returning zones while being constantly kept on your toes thanks to the new maps, gimmicks and bosses. While Sonic 4 Episode 1 made the mistake of rehashing classic bosses with very little effort put into making things feel fresh, Mania presents two dozen sub-boss and boss fights that are all new, unique, challenging and in many cases filled with fan service. In addition to Eggman and the Hard Boiled Heavies, the rogues gallery that make their return in Sonic Mania rivals what we are to expect in Sonic Forces. While a single play through is a lengthy and enjoyable experience, players will be happy to know that going solo as Tails and Knuckles will present their own cutscenes and in some cases different starting points within zones. Playing as Knuckles, for example, has players starting off in Green Hill Zone’s underground caverns – just below where Sonic and Tails begin their adventures. To my knowledge, they are all the same maps, however certain areas are more easily accessible to Tails and Knuckles. 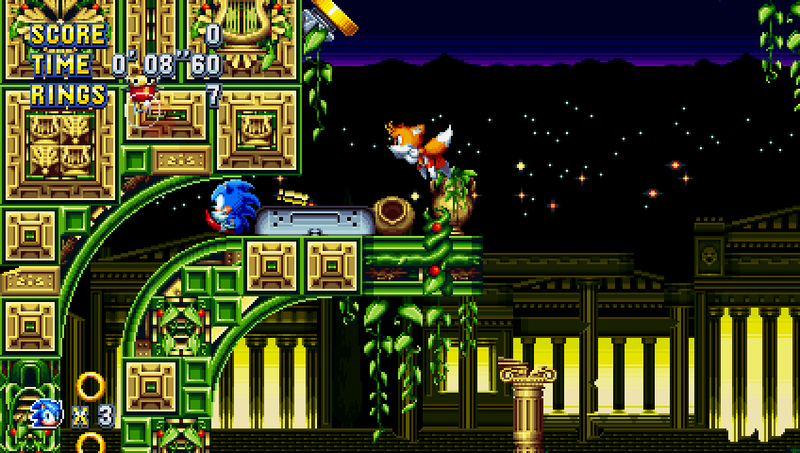 Bonus stages are the one area where the game stumbles, but only because I can’t help but compare Mania to Sonic 3 & Knuckles. 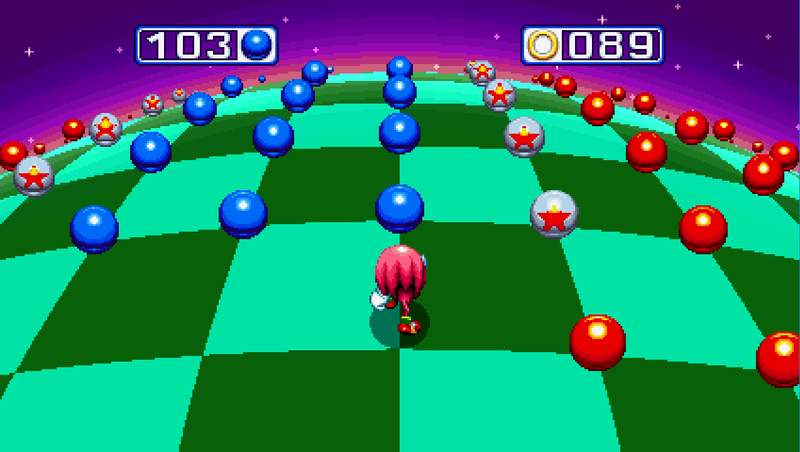 While that game had three bonus stages accessible from the checkpoints, with the accessible bonus stage being based on the amount of rings obtained, Mania only offers blue spheres with fifty rings. 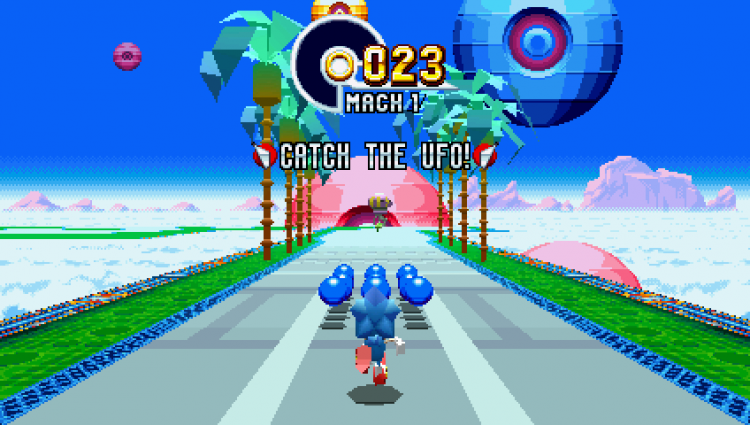 I love blue spheres, and happily jumped into the bonus stage early on in my playthrough, but midway through the game they became more of an interruption to the incredible main gameplay. I found myself actively avoiding them. Of course, avoiding them is your choice and as such it is not really a negative. Just an area where I felt the game could have improved by having a few more bonus stages. 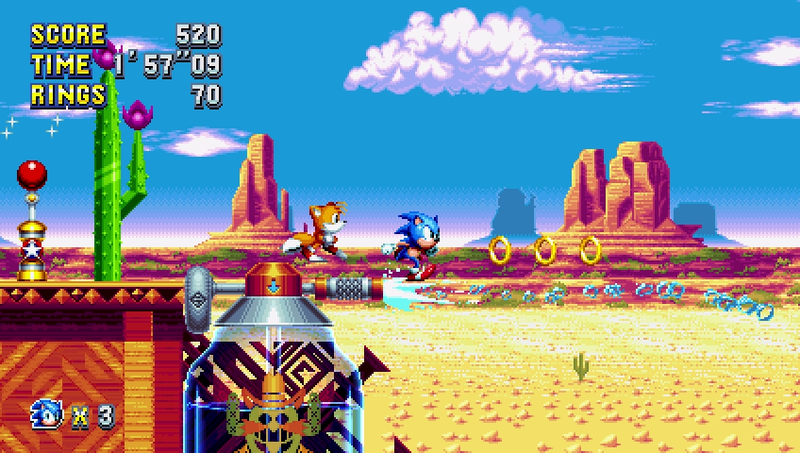 Special stages are accessed via hidden giant rings found throughout the zones. Upon entering, players are treated to a special stage that feels like a combination of the special stages found in Sonic CD, Chaotix and Sonic Heroes, with a dash of Sonic R. Collecting blue and yellow spheres speeds you up while rings add time to the timer. Hazards include spikes, bumpers and bottomless pits. Mania’s special stages are challenging, but I feel that they will be seen more favorably than some past special stages due to the amount of control players have. As is the case with most Sonic games, the soundtrack is fantastic. The work done by Tee Lopes and his team feels straight out of the SEGA Saturn era, with faithful remixes of classic tracks and new tracks that are instant classics. Studiopolis will be forever stuck in my head. Sound effects, meanwhile, are kept lo-fi and I’d have it no other way. The fireball “blorp” has long been my favorite video game sound, and to hear it again in Mania was a delight. Outside of the main game, players can try two modes: competition and time attack. Competition requires a friend with a second controller and is local multiplayer only, however I’m certain those with PS+ accounts can do multiplayer screen share. Like Sonic 2, two player races take place in main game stages, with various accomplishments affecting your final score. 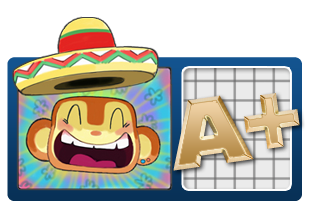 Tie breakers are decided with a surprising mini-game which is sure to delight puzzle game fans. The screen is squashed to accommodate both players, and while some have complained that it is hard to look at, my competition and I had no difficulties with the aspect ratio. Time attack is a dream come true for speed runners, with an instant reset button that makes it far easier to attempt the fastest times. I hate to revive a dead meme, but Sonic Mania is a 2D Sonic game as you truly imagined it. Nearly every ingredient that makes the perfect Sonic game is presented with the love and attention it deserves to make a final game that is up there with some of the series best titles. SEGA should be applauded for giving an all-star development team of fans a shot at their flagship franchise, and I hope to see future 2D Sonic games as good as or better than Mania in the future. This is great news. I’m nitpicking here by saying I’m upset at the lack of NEW stages, but the classic stages will be different enough, I guess. The returning stages are very different. Thanks for the review. Feels like every major game outlet is critical of this game because it isn’t easy, modernized, or filled with QTE. And yet I recorded it drunk! Good review, game is going to end up being a classic. Good review. Their is only one thing i don’t like, digital only. I hope they release a physical release in the future. I bought it on xbox live, but that’s not the same than keeping the game in your hands.